I got this computer and search over internet what machine is that (specks),but i dont find yet. When boot computer only c(c) 1985 v3.1 show monitor information. Hercules is display adapter and Dos 3.30 is OS. Kye is computer name and its build standard components. Anybody knows this machine specks ? Being 1985 I'd expect it'd be an XT clone - 8088 with 256KB to 640KB of RAM - but it could be anything. There were a lot of clone PC machines made in the mid 1980's, and many just using parts mass produced in Taiwan. If you can take some photos inside of it, we may be able to help more. If we recognize the motherboard we may even be able to point you to a page with more information. SpidersWeb wrote: Being 1985 I'd expect it'd be an XT clone - 8088 with 256KB to 640KB of RAM - but it could be anything. I have only Webcam and quality is poor. But motherboard is samekind this website. This is better picrure.Motherboard looks same what is my own. Motherboard is text.Dtk copyright 39784 pim-turbo and upside chip reads PIM-640. Last edited by vintageatk on Tue Jan 31, 2017 7:10 am, edited 1 time in total. Graphics - looks like it has options to switch between Mono and Color - MDA/CGA combo? Hard drive looks like an ST225 or ST238R? I see you have a card with a RTC chip on it - the right utility and a new battery and it'll remember the time. Hard drive is ST238R and color is yellow/black.And math processor is motherboard (i think),because CAD is installed to HDD. But mouse doesn't work.Genious is that name for 3 buttons. And where i found this graphics card info/manual?.Jumpers is so much. I was wrong about graphics card. 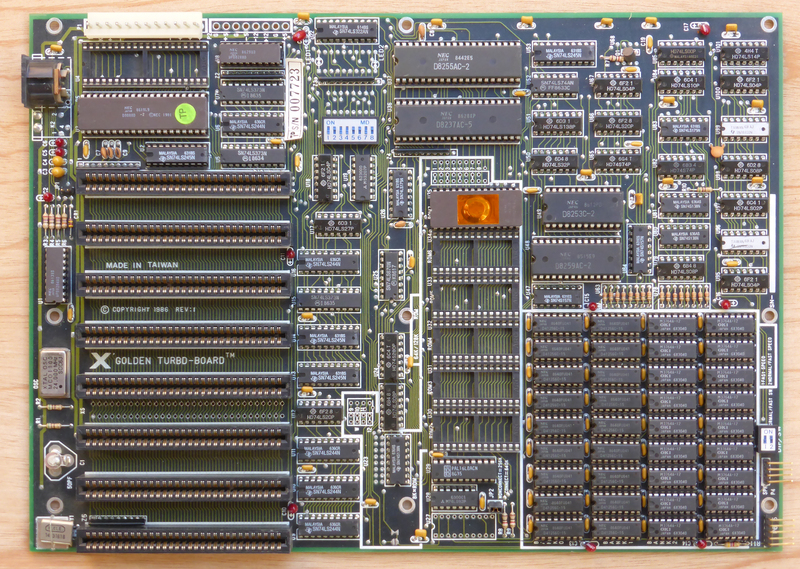 It is JATON 6618 multi isa i/o card. I got this ide controller and i want to know can this use that machine. And where i find manual for jumpers?